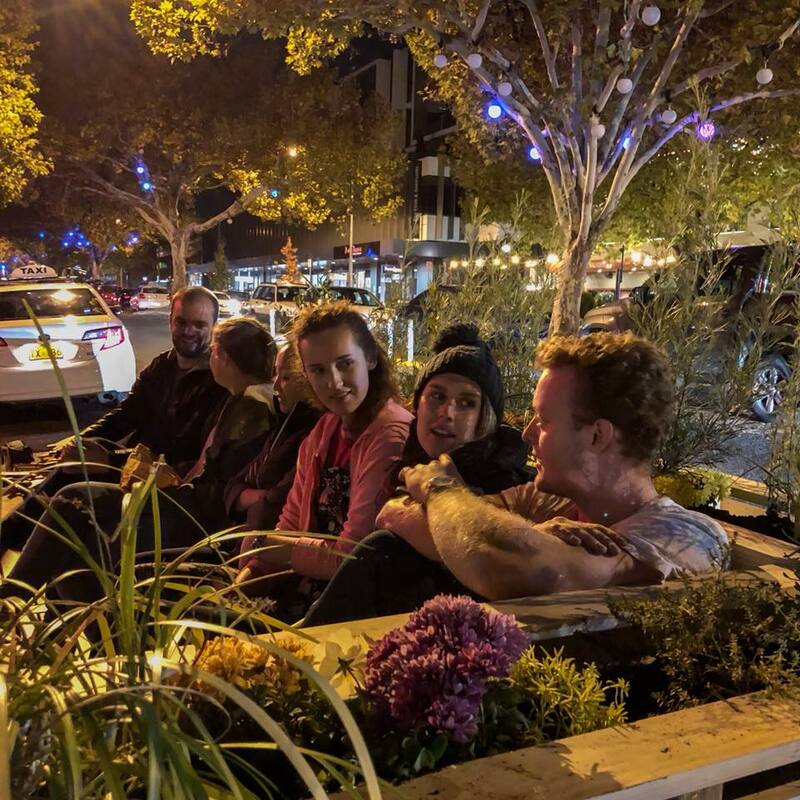 A new temporary public park has popped up in Lonsdale Street, Braddon, thanks to a City Grant awarded to the Planning Institute of Australia’s ACT Young Planners. Pocket Park takes the place of a single car space outside Hopscotch bar from Tuesday 29 May until mid-June. It will be activated with a program of entertainment organised by the ACT Young Planners. City Renewal Authority chief executive Malcolm Snow said it would be great to see people experiencing a transformed space in a new way. “Cities should be about people so it’s always encouraging to see people finding new ways to reclaim existing spaces for human interaction,” Mr Snow said. “This project by the ACT Young Planners will show how a space previously used by a single car can instead be enjoyed by many people. While ACT Young Planners received a City Grant in the first round of applications this year, the temporary “pop-up’’ project has been more than 18 months in the making. It is a collaboration between ACT Young Planners volunteers, Design Community and Projex Building with help from Knight Frank. For updates follow the City Renewal Authority on social media and follow the progress of Pocket Park using the hashtags #PocketPark and CityRenewalCBR. City Grants are funded through the City Centre Marketing and Improvement Levy, a fee paid by property owners in the city centre. Have you ever wondered what could happen if we created more space for people in our most popular public places? Coming very soon, Canberra’s very own Pocket Park project will create a small, temporary park in one of our favourite places, Lonsdale Street. The Planning Institute of Australia ACT Division’s Young Planners Committee is leading the Pocket Park project, which is being made possible with support from the ACT Government under the City Renewal Authority’s City Grants program. To find out more info about this event, like the Pocket Park Facebook page.